May 23, 2015: “I am a staunch believer of the importance of effectively functioning institutions and good governance and have a habit of circling every issue back to that point…Many of us are convinced that the problems of inequality in relation to women’s participation in economic life are rooted in our patriarchal culture and feudal norms, and I do not disagree with that. But I do want to emphasize that in the worksite setting, there are systematic barriers to the participation and growth of women in the workforce…and that institutional enablers can play a very significantly role in making women’s talents mainstream”. 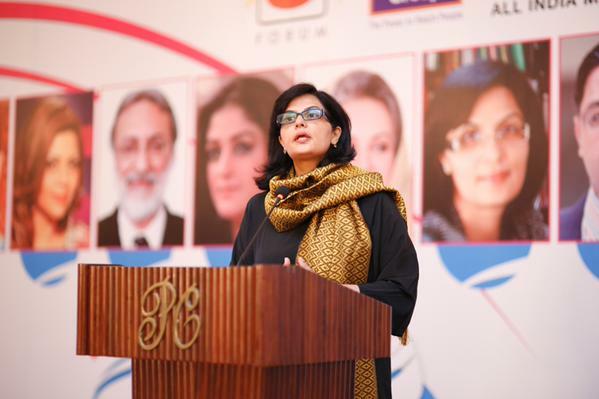 This is an excerpt from our president Sania Nishtar’s keynote speech at a recent Women’s Leadership Summit. The full text of her speech can be accessed here.